Once upon a time in which the music was magic. Creativity, energy and emotion, flowed without control crawling us with them. It was a time where the songs come to life, and the musicians intended only thrill, Inside expel the outbreak of feelings and pain that the society and its closest world bombarding them. That time seems to have been away a while. Most artists today only seek fame and money at any cost, giving equal how and the form to get it. The live performances, their video-clips, lyrics and image of the listed "artists of today", fighting in a race to show for vulgarity and provocation, giving less importance to music and placing it at a lower level. Despite all that, we can always count on true artists. 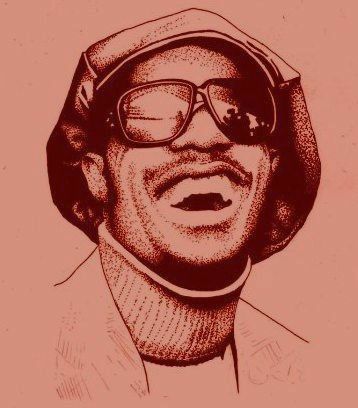 Artists like Stevie Wonder , as the music of those fantastic years, they are magic in themselves. They are able to create a world of fantasy sound, and like a fairy tale will enrich the imagination of children, their music transports us and soak of wit and illusion. An illusion that we wish in a no very distant time, is consummated in the form of new publications of Stevie Wonder, making us forget this drought of years without a new album to enjoy. If it's magic ... then, why can not it be everlasting?.